Hi, my name is Erick Leonel Raudales Sanchez. I was born on December 29, 2007, and I am 11-years-old. I'm in 6th grade this year. I live with my sister, her boyfriend, my baby nephew, and my two brothers. My mother got really sick last year and passed away. My sister takes care of me and my brothers now. Her boyfriend works and helps provide for us. 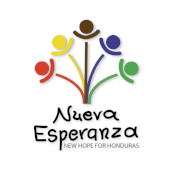 I get to attend Nueva Esperanza with both of my brothers. I like to play soccer, learn in Spanish class, and spend time with my friends at the ministry. Erick needs a $30 a month sponsor.